Chock full of vitamins, protein, and lecithin to break down fatty acids, sunflower shoots are not only delicious, they also pack quite a nutritional punch. They are high in Vitamins A, B complex, D, and E, calcium, iron, magnesium, potassium, and phosphorus. 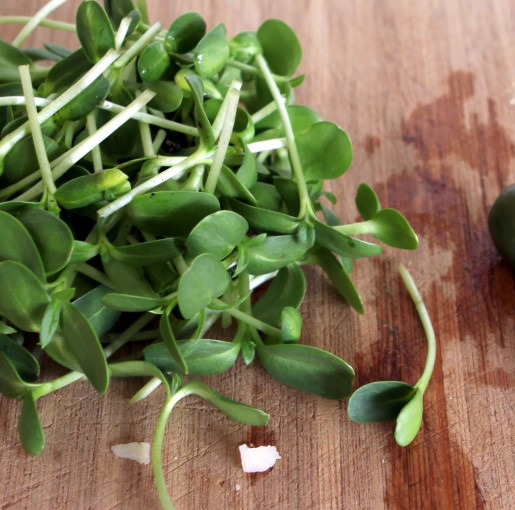 Sunflower Microgreens/Shoots are very similar to spinach with a hint of sunflower seed nuttiness. Sunflower microgreens can also be cooked or added to a salad for soe additional flavor and nutrients. Add it to the dish at the end of the cooking period, after you take the pot off the heat. This way the sunflower microgreens retain their crisp texture and fresh taste, while enhancing dishes like rice or mashed potatoes. Grown from organic seed and we never use any chemicals or pesticides.